The Transformers* battle explodes into uncharted territory when the Titans return. To control an ancient race of giant, city-sized warriors -- the Titans -- the Autobots and Decepticons must power up with Titan Masters, smaller bots that give bigger bots increased abilities in battle. 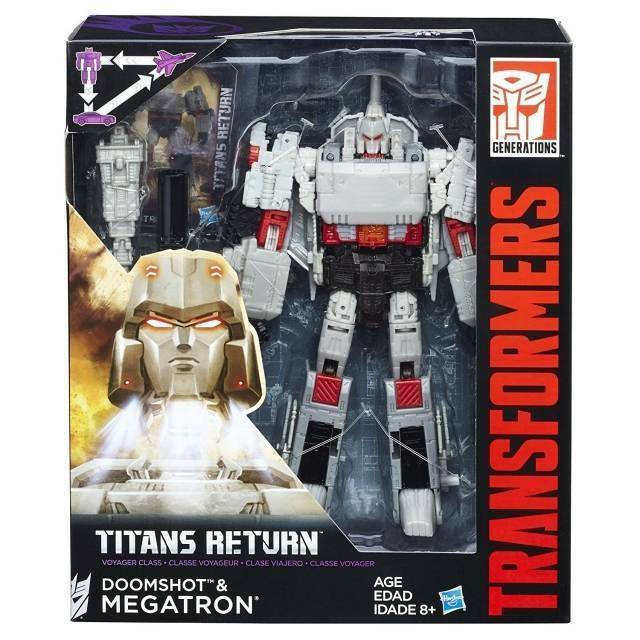 Unite this Titans Return Voyager Class Megatron figure with the Titan Master Doomshot figure. The Doomshot figure becomes the head of the Megatron figure.